Verbum Dei is an international Catholic Community founded by Fr. 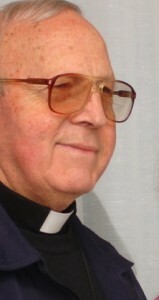 Jaime Bonet in Mallorca, Spain in 1963, receiving Pontifical approval on the 15th April, 2000 as an Institution of Consecrated Life in the Catholic Church. 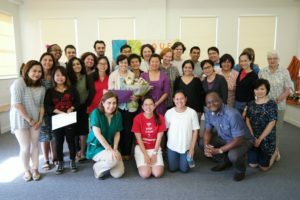 Verbum Dei is an international family united with one and the same charism and mission. At its core, there are three missionary branches: consecrated women, men (priests) who consecrate their lives to God through the profession of vows and missionary couples who consecrate themselves to God. The community extends to and embraces people of all states and areas of life: single, married, old and young, students, people of different backgrounds and occupations. We seek to be a clear expression of the Kingdom of God, building up Christian communities of living faith through prayer, witness of life and the Ministry of the Word. Members of the community are available on request to speak or give retreats in schools, parishes or on an individual guided basis.